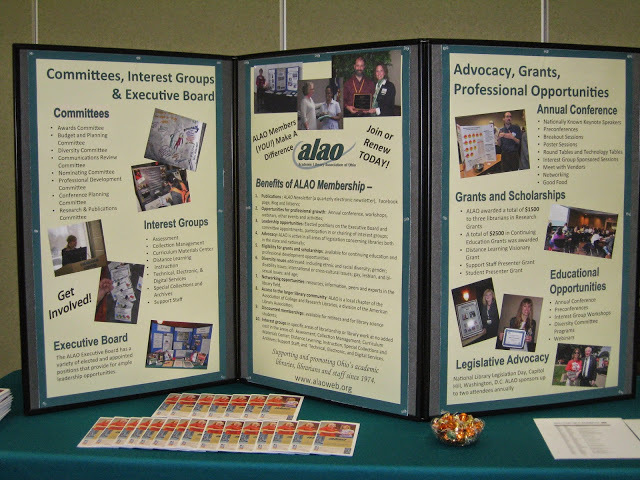 Everyone is still buzzing about this year’s ALAO Annual Conference held on November 14, 2014 in Sandusky, OH at the Kalahari Resort. We were happy to announce 80 new, active members have joined since the 2013 Annual Conference! A warm welcome to all the new members! During the Membership Chair’s Report at the conference, we reported 343 active members. This is proof of our wonderful, vibrant, active community. However, inactive memberships were 444. As you’re telling your colleagues about the enriching experience you had at this year’s conference, encourage them to renew their lapsed membership or to join for the first time. Membership entitles you to many benefits and connects you to an extensive, yet intimate, network of library colleagues. Membership affords you a discounted conference registration fee and access to online conference materials. Additionally, members are eligible for research grants, continuing education grants, and legislative advocacy awards. Membership dues also support a diversity scholarship, grants that fund student and support staff presenters at the annual conference, and special recognition awards. In the coming year, over $10,000 is expected to be awarded via these initiatives. An exciting new benefit is the ALAO Mentoring Program (www.alaoweb.org/Mentor), sponsored by the Professional Development Committee. This time of year is also a great opportunity to introduce full-time students pursuing a Master degree in Library and Information Science to a professional organization. ALAO extends free membership to such students, with 40 active student members already involved. What a wonderful way to enhance the scholarly experience with the robust networking and learning experiences of ALAO! Please contact Katy Mathuews, Membership Chair, at kmathuews@shawnee.edu for more information. This entry was posted in Vol. 32 no. 3 (Dec. 2014) and tagged Membership News. Bookmark the permalink.